Nancy leathem's Trees and Branches: Mrs C E Lancaster Obituary 1962 Casino NSW. 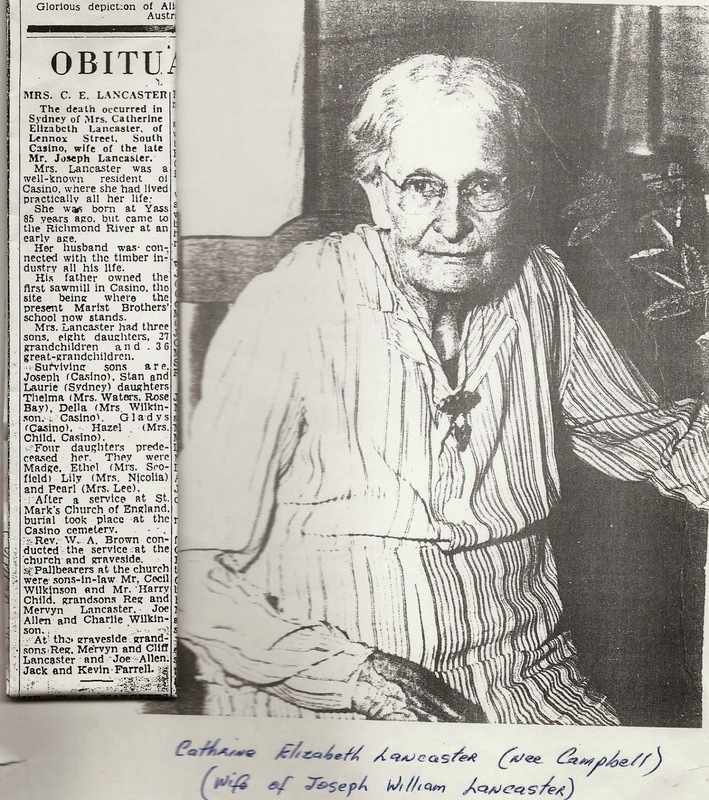 Mrs C E Lancaster Obituary 1962 Casino NSW. This is my much loved great grandmother. I remember her vividly.